The Norwegian Star team of Eivind Melleby and Petter Morland Pedersen have won the opening race of the 84th BACARDI Cup, the first event of the 2011 BACARDI Miami Sailing Week presented by EFG Bank. 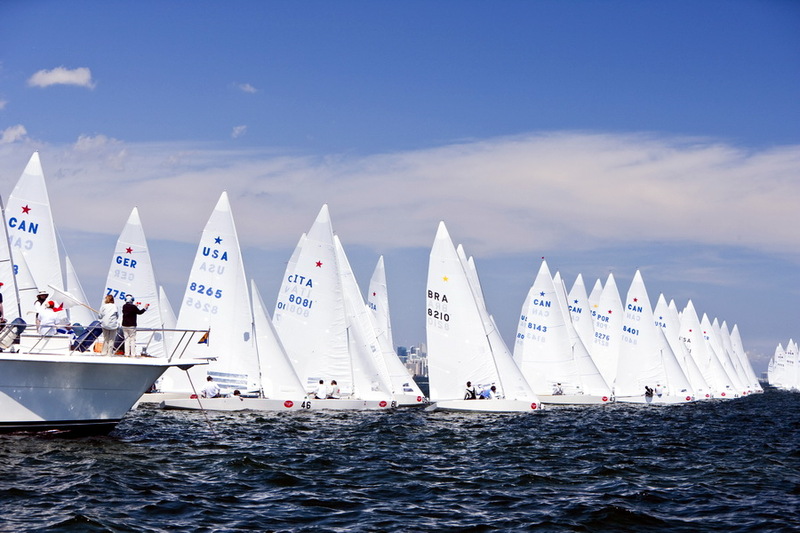 After an hour delay due to light air, the 89-strong Star fleet got down to business as temperatures in the low 70s combined with elite-level competition to make Biscayne Bay the place to be. Melleby and Pedersen have been here before – they also finished first in the opening race of the BACARDI Cup in 2008. And while today’s result is surely déjà vu, hopefully it is also not a curse – no team winning the opening race has gone on to claim the title in at least the last 10 years. The duo are making their fourth run at the BACARDI Cup, having achieved, to date, their best finish of seventh overall in 2010. "We've never won the Bacardi Cup, but hope to this year,” said Melleby. “The day was marked by a very light breeze, so they postponed the race for an hour before they started. It was a long race. The wind shifted quite a lot to the left, but we were able to get out in front of it, and veer away from the rest of the fleet coming up to the first mark in fourth position. From there we were able to get away from the pack and managed to get into first position and stay there for most of the race. We were about 100 meters out in front until the end when Andrew Campbell (San Diego, Calif.) and crew Ian Coleman (Annapolis, Md.) were able to get a lot closer than we wanted. Campbell closed in less than 50 meters with a breeze from behind. With a light day like this, the boat speed is very similar, so our win was mostly about positioning and strategy." 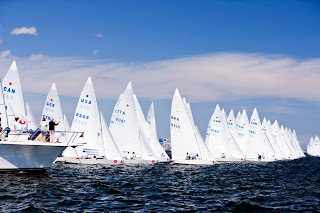 "There are 20 boats, maybe more, that can win the Bacardi Cup at anytime,” observed Melleby. “We're just trying to stay consistent, and do well in every race this week. Hopefully, we can be at the top of the podium when all this ends." Third overall after day one is the French team of Guillaume Florent and Pascal Rambeau, followed by George Szabo with Caleb Paine (both San Diego, Calif.). Mark Reynolds (San Diego, Calif.) and Rick Peters (Venice, Calif.) round out the top-five. Racing for the BACARDI Cup resumes Tuesday, March 8, and continues through Saturday, March 12.